Lock 16, Lobb Mill Lock. 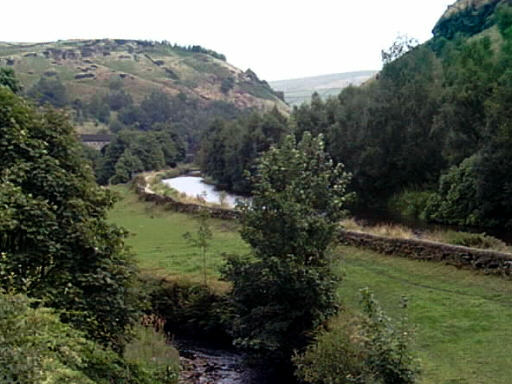 Looking back eastwards towards Lobb Mill from Woodhouse Lane, with the River Calder in the foreground. Looking west from Woodhouse Road towards Todmorden. 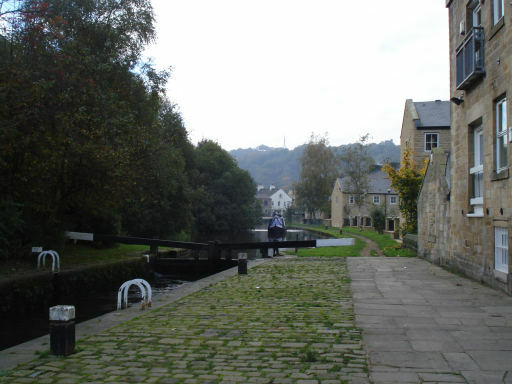 Looking back towards Woodhouse Mill, now converted to apartments. Note the spillway with plank walkway to the left. 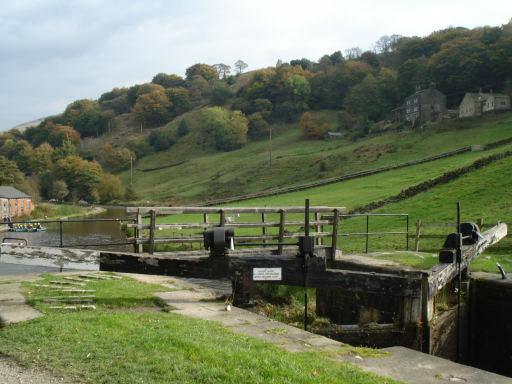 Lock 17, Old Royd Lock, just east of Todmorden. 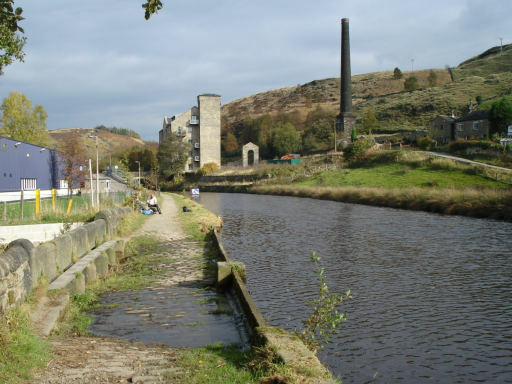 Looking back eastwards from below Shop Lock, Todmorden. The monument on Stoodley Pike is at last in view. 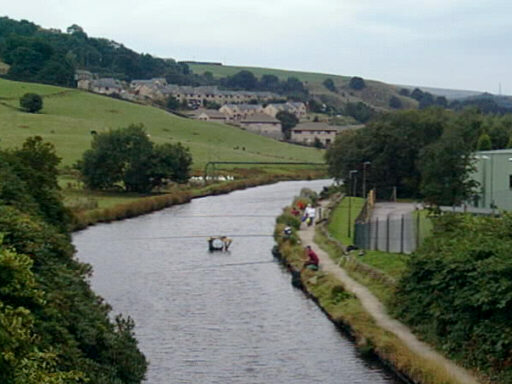 This has not been visible for most of the approach to Todmorden, because of the lower hills in the way. 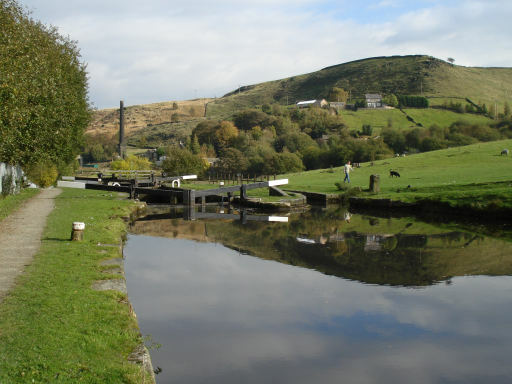 Todmorden has several supermarkets, an open air market and a small range of other shops. It also has a reputation for having the most alleged UFO sightings in Britain. 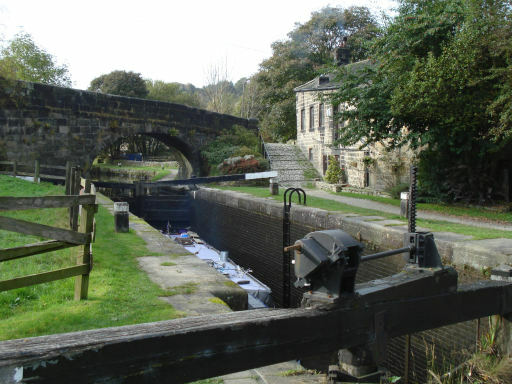 Lock 18, Shop Lock, Todmorden. 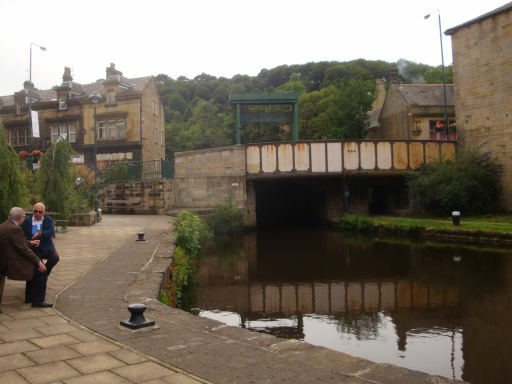 Golden Lion Bridge, Todmorden, with Todmorden Guillotine Lock visible beyond. 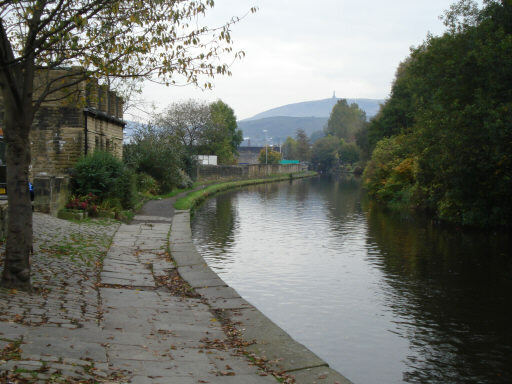 Looking back from Golden Lion Bridge, Todmorden. 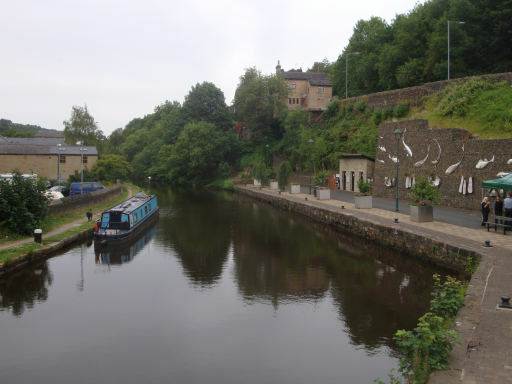 There are boaters' facilities at Fielden Wharf on the right.